Another recipe for you. And it's healthy too! I recently found Melissa of Satisfying Eats. 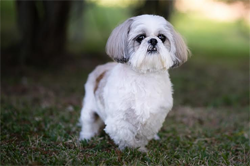 She has published a cookbook with all of her sugar-free & grain-free recipes... and they all have raving reviews! So far i have only made this one. I know CABBAGE seems like a strange one to go for FIRST, but i had a head of cabbage on hand. And sausage. So, it was only logical. 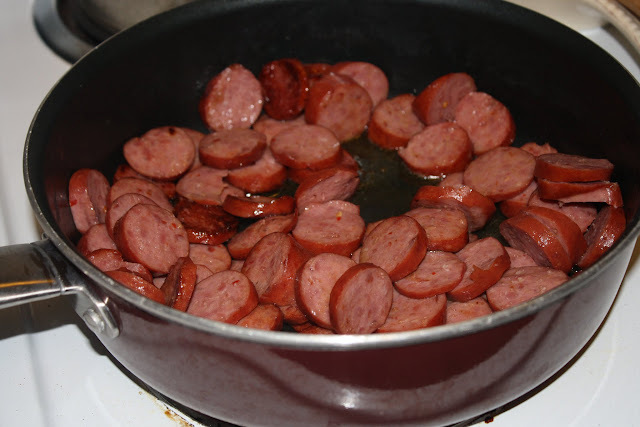 In a large frying pan, brown sausage on medium heat on both sides for about 10 minutes. 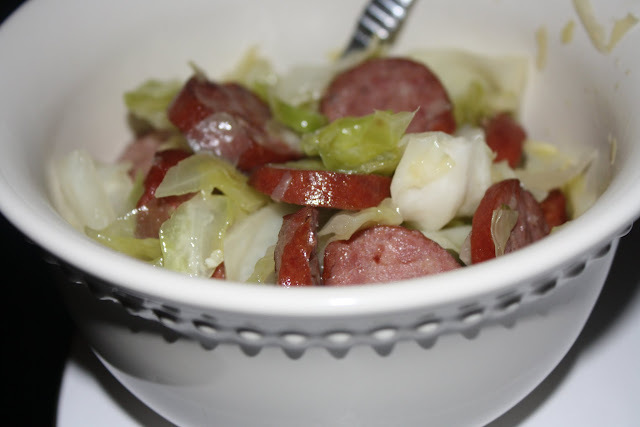 After sausage is browned, add cabbage & water. 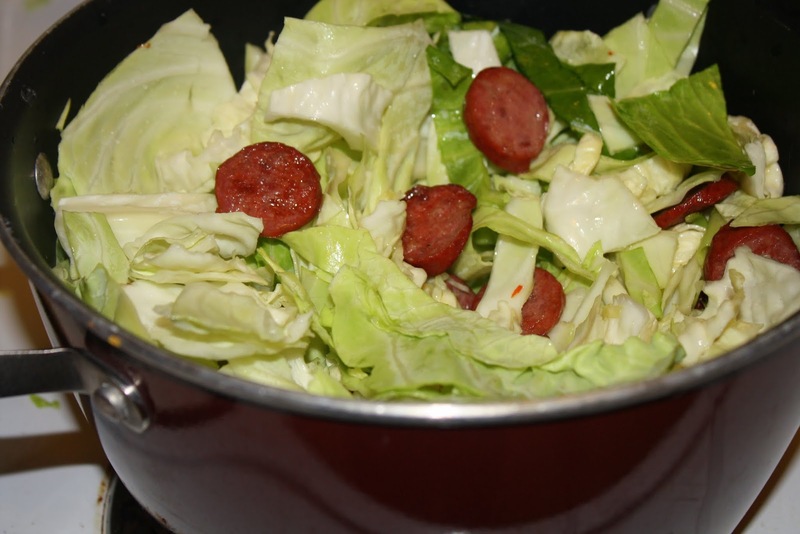 Well, first you have to chop your cabbage! Cover and reduce heat slightly and cook for 10 minutes, stirring after 5 minutes. 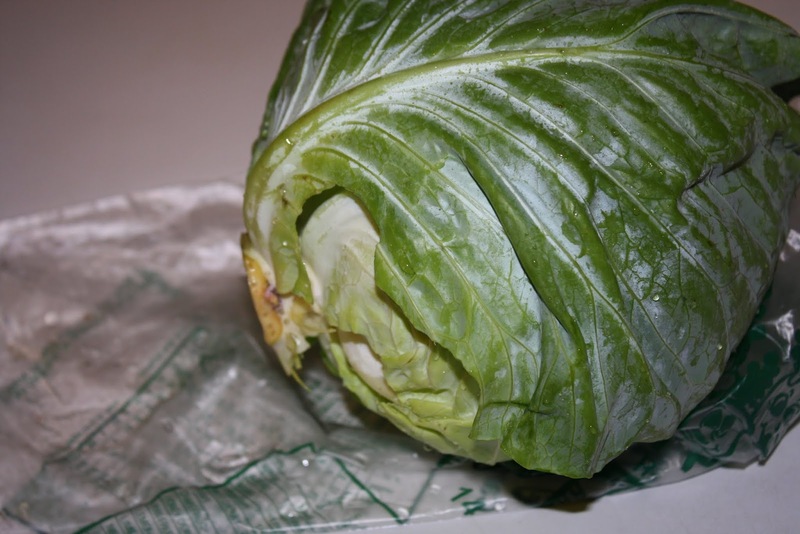 Check for desired doneness of cabbage. Add butter & seasons.